To be precise I am an Modalistic Emanationist. "Modalistic emanationism does not maintain that all of the Gods are names of one God, nor that “all gods are one God, all goddesses one Goddess.” Instead, that all of the Gods are distinct and unique personalities, all descended from one Divine Unity, which exists, collectively, in all of Them together. The Gods are sacred wine, poured out from a single krater, though each is an individual kylix, and thus removing any of these kylices takes away a portion of the wine, leaving the fullness incomplete." I couldn't have put more beautifully than the way the above author of the blog has put it. Ancient Persians (Magi) and Indians were masters of magic, astrology and the occult, while the Persian nation entirely got converted into Islam, Indians have preserved the occult science of astrology and magic which is still in vogue on every nook and corner of the nation. 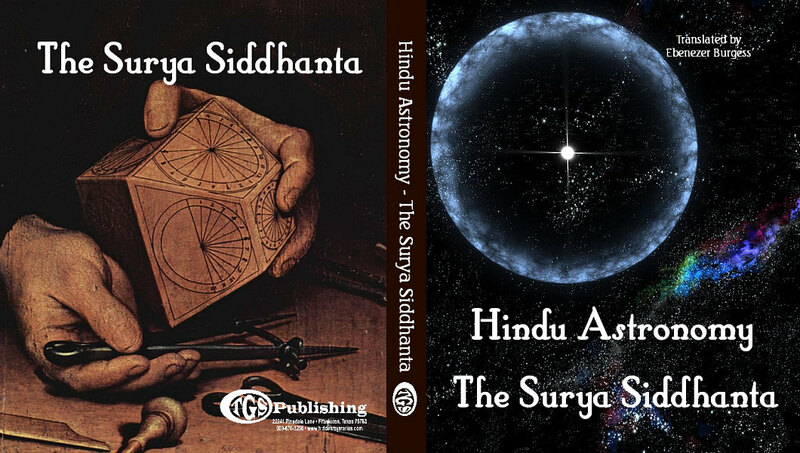 It was the Sun God who revealed the occult science of astrology to the demon Mara and this science is preserved in an ancient text called Surya Siddhanta. Astrology shows that all the events in our lives are predetermined according to the position of the planets. Even the psychological behaviour and the physique of a person is predetermined according to the date and place of birth of a person. There are many online sites where you can enter the date, time and place of your birth and obtain your future and current predictions. For example the below details of mine was taken from www.astrologyandme.com website. Anyone who has seen me from close would know that my characteristics and nature are exactly identical to the one predicted by the science of astrology. You might be a restless worker. You are optimistic in approaching things. You are always cheerful and never sit idle. You are not only cheerful, but also cheer up others and inspire others to work. You are intelligent and want to know more and more. You study well. You come up in life because of your studies. You love outdoors and nature. You like to visit lonely places and places where one can see nature in her beauties. You love active sports especially in your young age. You are aware of your own work, studies and responsibilities. When you are engaged in your work, you do not interfere in others matters. This way of approach towards others may be understood as narrow mindedness. You are sympathetic and have a kind heart towards people. You help people a lot and bring them up in life. You may be described as bringers of sunshine into gloomy situations. You will be engaged in a respectable profession. You are hard working, don't like to sit idle, will be trusted by everybody and will be a responsible person. However, people around you who are jealous of you, will try hinder your progress. Your hard work and devotion to work will fetch you suddenly quite a good amount of property and wealth. However, as stated earlier, jealous people around may try to destroy this. You will be known for your diplomatic dealings and the efficient way of persuading people. You will go abroad on account of diplomatic missions. You will be loved and respected by everybody. You will be very much successful in your mission and win the hearts of both the sending as well as the receiving parties. You are not sociable and will have few friends. You will be reserved and introvert in nature. You are a person having great power both with respect to your speech as well as your physique. People without too much guts will not try to go against you. However some people will try to come in your way. You will not keep quiet but give them back in the right way. Once they come to know about your powerful nature they will dare to do anything against you in future. You tend to be friendly, communicative, indecisive, unsure, liking to do two or more things at once, active mentally, temperamental, nervous or anxious, superficial, and always ready for something different. Natives like you are often quite witty and clever, but present themselves in a less cheerful and changeable way. Your observation are sharp but the overall manner is sometimes a bit rude. You have a strong need to communicate what you already know and to learn more. You enjoy reading and travelling as they both give plenty of scope for picking up new knowledge. You need variety and can be the jack of all trades and the master of none.You are quick witted, sometimes shy or retiring humane, good disposition but nervous and restless. You will be polite, amicable, skilled and a good orator.You may be disciplined & despite of having good qualities you may lack patience. You may have ever-changing views and shifting objectives.You love to talk, both with your mouth as well as your hands.You may lack in concentration and quick decision. You might be a bit reserved and introvert in nature. You do not believe in having resolutions which are meant only to show and not to implement. You feel that having such principles is the most of foolish thing. So you feel that it is better not to have such showy principles. In fact, you do not have any such principles, because you are a practical person. You will have interest in poetry, literature. Jupiter in the second house increases the chances of your success. You will get a good looking life partner, fortune, family and surroundings. Yours would be an easy going personality. You acquire wealth by various means. Your children will be intelligent, respect elders and educated. They might be little reserve. People take you as Stingy when you are unwilling to give or spend much, but that's your own way of avoiding over expenditure. Laziness and idleness might be one of your attributes. You will have a very good relationship with your mother. You might take up science as your subject and may get involved in deep researches.